Bay Staters are still waiting for finalized regulations for the commercial recreational marijuana industry in Massachusetts, but the regulations around adult recreational use for individuals were established in December 2016. After voters passed Question 4 on the 2016 ballot, lawmakers passed the “Regulation of the Use and Distribution of Marijuana not Medically Prescribed” law that legalized personal use and possession of up to one ounce of cannabis for adults. As Massachusetts adults wait for the green light on recreational cannabis retailers, they can take advantage of one piece of the law that legalizes growing marijuana plants at home for personal use. A person 21 years or older can grow up to six marijuana plants at home for personal use so long as no more than a total of 12 plants are being grown (by anyone) on the premises at a given time. It’s worth noting that possessing or cultivating cannabis is still a federal crime. Growing marijuana inside can produce great yields due to the controlled environment, but here in the Pioneer Valley we’re blessed with a lot of green space and green thumbs. Many folks have the ability to have a small garden at home and might even already have the equipment and skills needed to get started. 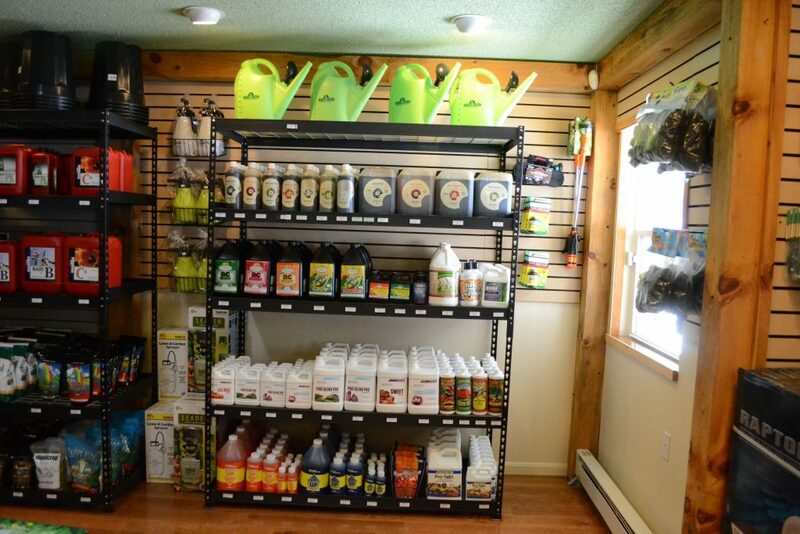 Growing your own cannabis at home might be the perfect way to utilize your gardening skills to save some money, and if you don’t have those skills already there are a few gardening supply stores that can provide you with the information you need. It may not seem like the right time to be talking about gardening given the fresh snow on the ground, but most cannabis seeds need to start growing inside in February in order to be ready to go outside in the spring. Unfortunately, seeds are one of the more complicated aspects of growing your own marijuana. Mike Cutler is a Northampton attorney at EvansCutler Attorneys who served on the drafting committee for Question 4 in 2016. He clarified that adults can share up to one ounce of recreational cannabis, even seeds, but that there is no legal way to sell seeds for recreational purposes in Massachusetts yet. He also clarified that federal law makes it illegal to import seeds from another state or country. So basically, the best option is to phone a friend, until the Cannabis Control Commission finalizes commercial recreational cannabis regulations. 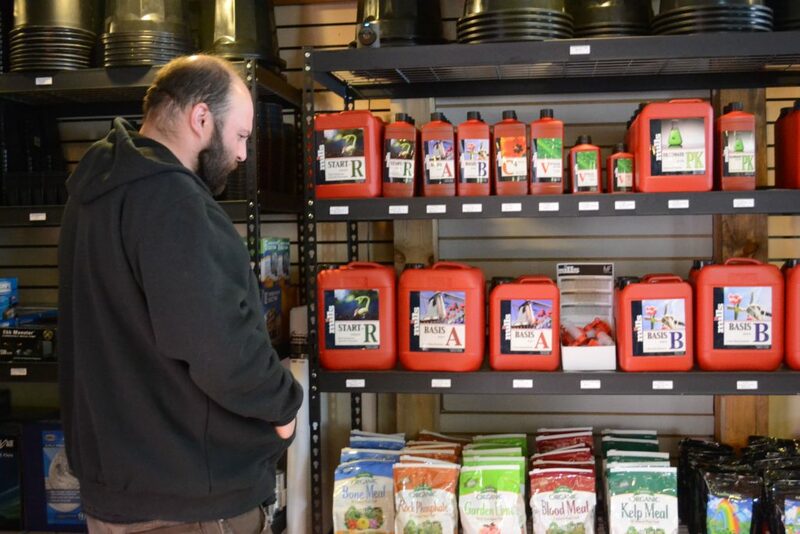 In Shelburne Falls, a brand new garden supply store called Hilltown Growers Supply opened in November and sells all of the other supplies you will need to start those seeds and information you need to do it right. Luckily, those supplies aren’t very different then the supplies you need to start any kind of seeds inside. Owners Ashley and Wilder Sparks are former farmers who learned about cannabis cultivation in California. Despite the short growing season, Wilder Sparks reassured me that it’s possible to grow marijuana outside in the Pioneer Valley. Indica is a strain of cannabis that has a short flowering period (only about eight weeks) and a high yield, making it perfect for our short growing climate. Wilder Sparks also recommended starting more seeds then you need because only female plants produce the desirable buds, meaning that about half of the plants you start could be males that have no buds. That said, keep in mind the state regulations and only keep up to six cannabis plants for one person or up to 12 plants in one residence. Wilder Sparks recommended starting the seeds in early February. He uses start plugs in a plastic tray with a heating mat underneath and a plastic dome to keep the humidity in. “When they’re babies they really like humidity and warmth,” Wilder Sparks said. The seeds and eventual seedlings also need light, but luckily he said that a simple fluorescent light bulb for plants will do the trick. 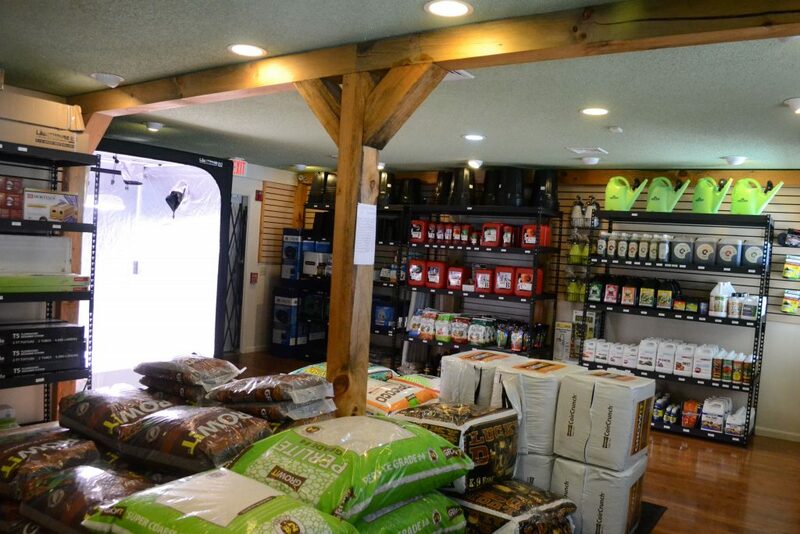 While you can purchase specialty bulbs, fluorescent light bulbs that are made for growing plants are available at most pet and hardware stores and Wilder Sparks said that they are more cost-effective (because they don’t use a lot of electricity). Ashley Sparks recommended growing the seedlings in a room where the temperature is consistent, so not a basement or storage room that is prone to get cold. Wilder Sparks also recommended picking up a fertilizer intended for starts to ensure that the seedlings have all of the nutrients they need from the beginning. “Keeping the conditions right when they’re babies is so important,” Wilder Sparks said. After that it’s just making sure that the environment stays humid by adding water when necessary. Once the seedlings are three inches tall they can be potted up to a three inch pot filled with amended potting soil (soil that has organic or naturally derived amendments added) and then again to an even bigger pot later on. Wilder Sparks recommended planting the cannabis plants outside around Mother’s Day. Unfortunately it may be hard to tell the difference between male and female plants while the plants are still vegetating, the stage where they put on leaf matter instead of putting energy into flowering, but some strains will show pre-flowers that can help you weed out the male plants: female plants will have a pistil shaped part and male plants will have a more round shaped part. Wilder Sparks said that he decreases how much light the plants get a few weeks before they go outside from 24 hours a day to turning the light off at night. This helps the plants to adjust to the natural light that they will get outside. When starting to think about putting the plants outside there are a few important things to remember. The first is that one person can only cultivate up to six cannabis plants at their person’s primary residence and only 12 cannabis plants can be grown on the premises at once. The second is that the plants cannot be visible from a public place, which Cutler said includes public sidewalks. The third is that the cannabis plants must be cultivated in an area that is equipped with a lock or other security device. Cutler clarified that violating the second two restrictions can only be punished with a fine of up to $300 and forfeiture of the marijuana, but not a criminal charge. These regulations might mean adding a fence to your garden if you want to grow cannabis, but if you use cannabis for recreational or medical purposes, the amount of money you could save by growing your own could be huge over time. If you can set up the correct environment for growing at home legally, any adult gardener can grow cannabis. 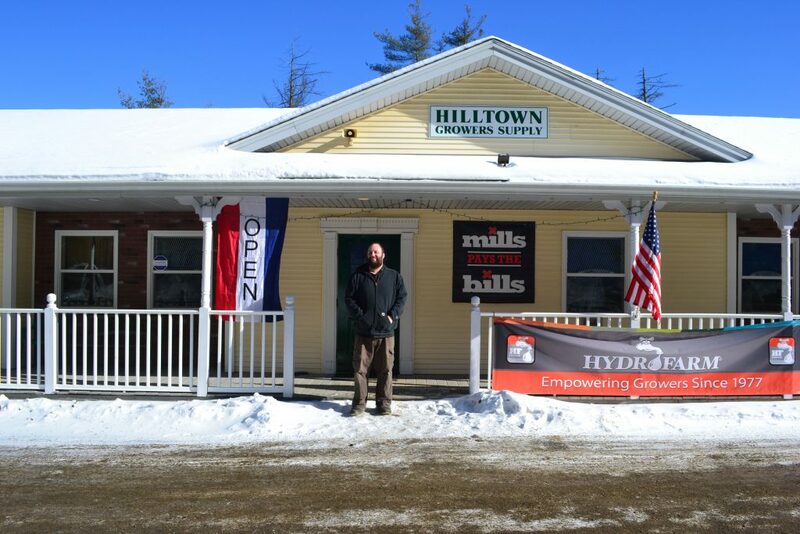 Pat Vanschoyck of Shelburne Falls came into Hilltown Growers Supply to check out the new store in the neighborhood, and seemed excited about the prospect of trying to grow cannabis. Once the garden plot has the proper specifications, it’s ready for the plants. Wilder Sparks said that the bigger hole you dig and fill with soil and amendments, the bigger the plant might get. You can decide what works for you based on the size of your space, but he recommended a hole with about a three foot diameter, and emphasized that width was more important than depth. Other online resources recommend holes of at least two feet wide and deep for clay soils that don’t drain well.